Smart speakers market in India is picking up the pace as South Korean electronics brand LG has now launched four Bluetooth speakers with Artificial Intelligence on board. The new range of audio devices includes the ‘PK’ series and the LG XBOOM AI ThinQ WK7. The LG PK3 is available for Rs 10,990, followed by the LG PK5 at Rs 14,990, LG PK7 for Rs 22,990, while the ThinQ WK7 costs Rs 27,990. With these new speakers, LG is aiming to redefine the music experience as they come with Meridian Audio. The South Korean tech major has partnered with UK-based Meridian Audio, who are the makers of high-fidelity audio components, to deliver great sound experience to music lovers. “As technology is pervasive and ever changing, we have been witnessing a lot of exciting trends coming our way, one of which is definitely AI. With this evolving trend, we are happy to present the new range of speakers equipped with this technology,” Younchul Park, Director-Home Electronics, LG Electronics India, said in a statement. 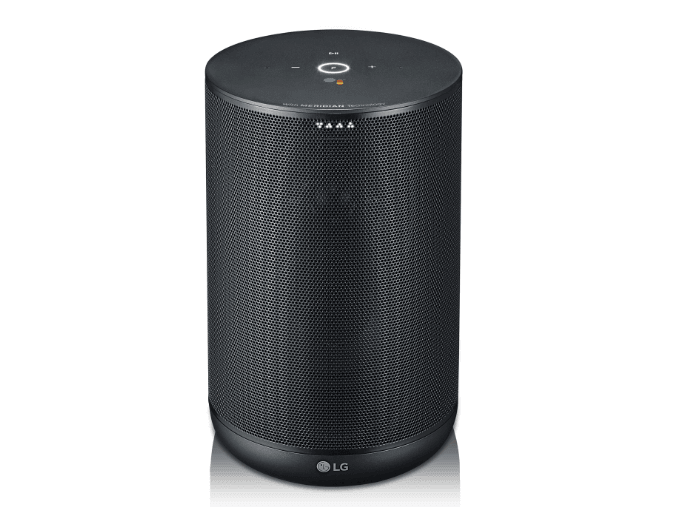 The LG XBOOM AI ThinQ WK7 comes in a cylindrical form factor, measuring 135mm x 210.7mm x 135 mm, while the grille wraps around the body with a seamless finish. The speaker is one of the first products with Google’s new “Android Things” platform built-in, with which users would be able to get information, get reports on the weather, check the calendar, make calls and control a whole range of smart home devices, the company added. LG’s new “PK series” features a handle that makes it easy to pick up the device and carry it. The front of the speakers come with a grille that lets the user see its dual tweeters and woofers. With the dual passive radiators, the speakers deliver better bass performance without using more power or additional speakers, the company said.